Before considering an acquisition, consider acquiring good counsel. The regulatory and legal issues impacting businesses in transactional matters are constantly changing. Businesses need representation from attorneys who are at the forefront of these changes, attorneys who have proven success in all aspects of mergers and acquisitions. This is why clients come to the law firm of McBrayer. We have the knowledge and experience necessary to achieve the results our clients deserve. Our lawyers represent Fortune 500 companies as well as smaller public and private businesses in all aspects of mergers and acquisitions. We provide advice regarding strategic planning and structuring on the front end. We assist with managing the deal process. We carry the process through to execution and closing. 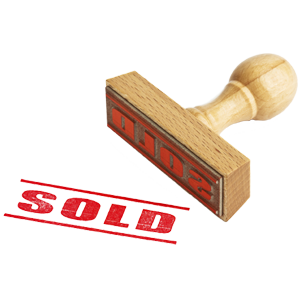 We handle friendly and contested acquisitions, tender offers and auctions. The domestic and international transactional activities we can assist with include mergers and acquisitions, divestitures, spinoffs and more. Our clients tell us what they want to accomplish, and we navigate the transactional path to reach those goals. We handle transactional matters for businesses in all industries, including the health care industry, the energy and coal industry, the telecommunications industry and more. Our law firm understands the industry-specific requirements that dictate how transactions must be handled within the health care field. We have handled consolidation, alignments and alliances between hospitals, physicians and other facilities, as well as clinic acquisitions and clinical integration. From large health care businesses looking to acquire smaller practices to single-doctor offices interested in aligning with a major health care network, our lawyers have the ability to handle all transactions. If your business is involved in a merger or acquisition, whether friendly or hostile, contact the experienced legal team at McBrayer. With offices in Lexington, Louisville, Greenup and Ashland, and a government relations office in Frankfort, we serve clients throughout Kentucky and the United States.